Visited by just a handful of people each year, Antarctica is truly the last great frontier on earth. Travelling to the White Continent is a big decision to make: you must consider the not-so-insignificant cost, the vast distances, and the possible environmental impact of your visit. And once you've made up your mind, with so many options to choose between figuring out exactly how to visit Antarctica can be something of a minefield. To make things easier here is our breakdown of the most important options you're likely to face while planning your trip to the Antarctic. Nearly all visitors travelling to Antarctica with IAATO operators arrive by sea from Chile or Argentina. A limited number depart from New Zealand or Australia. Some fly from South America to the northern Antarctic Peninsula where they meet a vessel for onward cruising. Only about one percent of visitors each year fly to the interior of Antarctica from South America or South Africa. Travel on a cruise ship and make multiple landings for guided excursions. This is the most popular option, with more than 80 percent of visitors choosing to travel this way. An air and cruise combination: You can fly to Antarctica or the South Shetland Islands and meet up with a ship to join a cruise. An air and land tour, which allows you to fly to the interior of the White Continent and explore on land. This does not include any shipboard cruising. There are pros and cons to each trip type. Speak to a tour operator to help you make the right choice. For example, travelling by air cuts the time required to cross the Drake Passage, which can be very appealing. However, air travel is much more expensive and landings can be cancelled because of bad weather. Travelling by ship, making landings at various points on the islands and on the continent, is popular because it allows you to explore with all of your senses. There aren’t many downsides of travelling this way, unless you run into rough seas and are prone to seasickness. The most popular departure points for trips to the Antarctic Peninsula are from Ushuaia, Argentina, and from Punta Arenas, Chile. If you depart from Ushuaia, you can visit the Antarctic Peninsula as well as the sub-Antarctic islands such as South Georgia and the Falkland Islands (Malvinas) on your cruise. From Punta Arenas in Chile, you can fly to the South Shetland islands to board your vessel, saving some time (though it’s more expensive) and eliminating the need to cross the Drake Passage by ship. Departing from South America allows you to reach the Antarctic Peninsula, the most popular region because it’s easy to access and has the most wildlife, plus dramatic mountains and a rich history. Depending on the trip you choose, it’s also possible to visit the British overseas territories of the Falkland Islands and South Georgia, and possibly a research station or two. Alternatively, you can reach a different part of Antarctica if you depart from New Zealand (Invercargill or Bluff) or Australia (Hobart). From these departure points, it will take about a week to access the White Continent. However, you can break up your trip by visiting Macquarie, Snares, Auckland and Campbell Islands, which are all rich in wildlife and nature. Once you reach Antarctica, you’ll spend your time around Commonwealth Bay or the Ross Sea region. It is possible to fly to Antarctica but most people travel by sea -- and the voyage is all part of the fun. The ships vary enormously -- in size, speed and in the type of accommodation they offer -- so you need to take advice and choose carefully. Of course the vessels need to be functional, but it’s reasonable to expect a certain level of comfort, too. Some ships are custom-made expedition vessels with all the modern conveniences, while others can be ex-Russian research vessels with more limited facilities. The accommodation on board ranges from the very basic to the luxurious. Some ships have cabins which are more like dormitory rooms with shared facilities. Some, at the other end of the range, offer fully-serviced suites. Some have gyms and spas, all have a lecture programme in which experts will give you the background knowledge you need to prepare you for what you will see when you go on shore. It will be educational, but also entertaining. The ships vary in size too -- you could opt to travel on a six-passenger yacht or a vessel carrying upwards of 500 souls. C1 – Traditional expedition ships that carry 13-200 passengers and can make landings. C2 – Mid-size vessels that carry 201-500 passengers and can make landings. CR – Vessels that carry more than 500 passengers and do not make landings (cruise only). YA – Sailing or motor yachts that carry 12 or fewer passengers. Speed is another factor to consider, and not simply because it helps you get to your destination more quickly. The Drake Passage and Southern Ocean can be very rough. The faster the ship, the less time you’ll spend in the swell, which can be significant. If the ship can outrun the weather, not only will you spend more time on shore, you might well arrive there feeling less queasy. So how do you choose the best type of ship for you? The first step is to consider some important factors. Deciding on the time of year that you’d like to travel, and the kind of trip you want -- luxury, adventurous, educational -- will help to narrow down the ship options. Some ships offer more luxury than others; some are more stable than others in rough seas. Some are better in ice, which is important for itineraries that take you into the Polar Circle, Weddell Sea and east Antarctica. Be sure to talk through the pros and cons with your travel company before you book. Whatever your choice, you’ll hopefully find that your fellow passengers have an adventurous spirit like yours, and a great camaraderie will build up during the voyage. Sailing to Antarctica means you’re heading to a destination like no other. You’ve booked the trip of a lifetime to Antarctica and you can’t wait to get there. 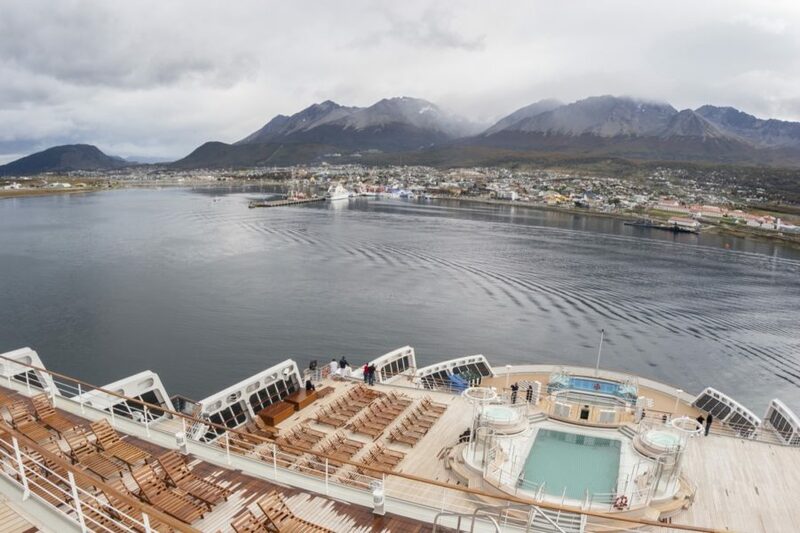 But before you can add the White Continent to the list of exciting places you’ve visited, you’ll be spending some time on a ship. After all, you’ll need to cross the Drake Passage from Argentina and you’ll be sleeping, eating and hopefully, having fun on board -- remember, most excursions are only for a few hours. Your home away from home will have all the amenities that you’ll want and need for a smooth sailing. Here’s what you can expect from life on board a cruise to Antarctica. A typical day will begin with an announcement from the trip leader or the captain, welcoming you to the morning’s anchoring, sharing with you the weather forecast, and perhaps reminding you of the day’s excursion. You’ll eat breakfast -- usually a buffet -- at around 7am to get on shore by about 8:30am. After a few hours’ activity on land, you’ll re-board the ship. It will probably sail on during lunch, which again tends to be a buffet. You’ll explore the new location in the afternoon and, if weather and conditions permit, you may enjoy another landing before or after dinner -- which is usually a sit-down affair, with three or four courses. If you’re the type who needs a set-in-stone itinerary for each day, be prepared to become more adaptable. 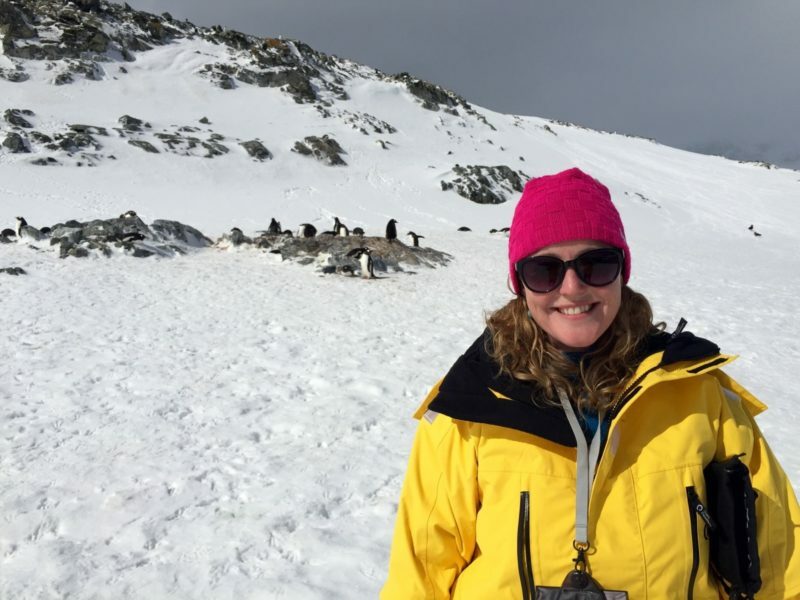 Your tour operator will often book landing sites ahead of time, but in Antarctica, the weather will have the final say on just about everything. Changes in the weather may limit where you can land, as well as dictate how much time you can spend on shore. As a result, most itineraries are not published. Instead, you’ll have a general idea of where you’re headed, with the caveat that everything is subject to change. 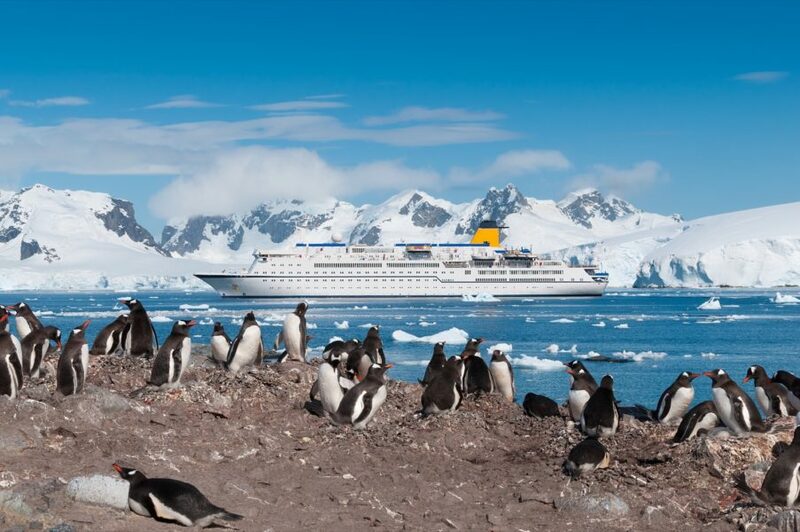 In addition to the shore excursions, you’ll have the opportunity to learn about Antarctic life, the history of the continent, facts and interesting information about animals and ecology, perhaps even the geology of the area with on-board experts. Their lectures are optional of course, but they’re filled with information and are a great way to learn more about the fascinating land you’re visiting. As these ships tend to carry fewer passengers than the massive cruise liners that visit warmer climates, the atmosphere on board tends to be very communal. You’ll meet new people on your shore excursions and will most likely share a table with other guests at meals. Evening activities like theme nights, auctions, musical performances and more, are often offered, which means even more opportunities to make new friends. Each voyage is different, and the guests can often dictate the “feel” of a ship. Some will have a younger group on board, and some tend to attract a more mature crowd. If you’re traveling solo or want to be on a ship with people of a certain age, be sure to talk to a polar expert. It’s often just the luck of the draw, but pre-planning can help. Sea sickness is a concern for many people, and the truth is that it is common. You could encounter swells of up to 10-12 meters, so be prepared. Each ship has a doctor on board, but supplies are limited so if you have a solution that you prefer, be sure to carry it with you. When possible, the ships will try to avoid bad weather, but Mother Nature is unpredictable and you never know what may occur. Most people enjoy the thrill of the open ocean, so the message is, be prepared -- and enjoy the adventure. Be sure to bring your camera and several memory cards for the trip, but don’t plan on posting daily updates to social media. You may be able to access the internet on many ships (at a cost), but the speed and connection varies, so think of this an off-the-grid adventure. You’ll have plenty of opportunities to share photos and stories when you get back to land. There will be a satellite phone on board, but that’s for emergencies. So be prepared to unplug and enjoy your time at sea -- this experience will better than anything on Facebook, that’s for sure. Most people visit Antarctica for the wildlife, and with good reason. From skuas spiralling through the air and seals basking on black sand beaches, to watching penguins waddle and whales breaching the waves, the wildlife is plentiful and there are many opportunities of seeing it. There is also a surprising number of historical sites to see, mostly relics from a more swashbuckling era of exploration and whaling. But trying to work out an itinerary ahead of time can be difficult. Under the Antarctic Treaty System, the main visitor sites on the continent are allowed a maximum number of ship visits per day, usually between one and three, depending on the site. And only one vessel is allowed at a landing site at any one time. Operators coordinate their programmes to make sure that these requirements are not exceeded and they will not market or promote particular locations because plans can change rapidly for weather and logistical reasons. However, most trips will include some, or all, of the following types of experiences. Speaking of penguins: there are about 20 million breeding pairs in the Antarctic region. Your chances of seeing penguins on your trip are very, very good. Visitors to the Antarctic Peninsula will probably be able to see gentoo penguins, and there’s also a good chance of sighting Adélie and chinstrap penguins. If you land at Neko Harbour, you’ll get to spend some time among the gentoo penguin colony there; at Orne Harbour, you can hike up to see the chinstrap penguins and get an expansive vista to boot. Though macaroni penguins are less common on the peninsula, there’s a good chance to see them, and king penguins, on a trip to the sub-Antarctic islands, such as South Georgia. Although whaling decimated large numbers of whales, the population is slowly making a comeback. Various species can be seen from December to April, but February and March tend to be the peak times for whale watching. Minke and humpback whales are frequently sighted, as are large pods of orcas. These mammals, also known as killer whales, are actually dolphins - identify them by the shape of their white eyepatches and dorsal patches. Though less common, sperm whales have also been spotted in Antarctica. Seals are often spotted too. True seals are different to fur seals in several ways. The most obvious is the fact that fur seals have ears on the outside of their heads. You might see fur seals on the sub-Antarctic islands, but you’ll see true seals in Antarctica. Weddell seals, which are possibly the cutest things on land, are fairly common; you might also see crabeater and leopard seals on the Antarctic Peninsula. Then there are the seabirds. From the time that your ship leaves Ushuaia until you reach the Antarctic Peninsula, you’ll see many different types of birds wheeling, calling in the air and over the land. It’s a bird-watcher’s paradise. Wandering albatross, cormorants, skuas, blue-eyed and imperial shags, sheathbills and several types of petrels are frequently sighted. Antarctica has a rich history that includes stories of explorers and risk-takers, businessmen and fortune seekers. As a result, there’s a chance that you could end up somewhere like Whaler’s Bay on Deception Island, where you can see the remains of the Norwegian Hektor Whaling Station, or hike up to Neptune’s Window. Or perhaps you’ll land at Danoy Point, where gentoo penguins make their home near historic British and Argentine field huts. 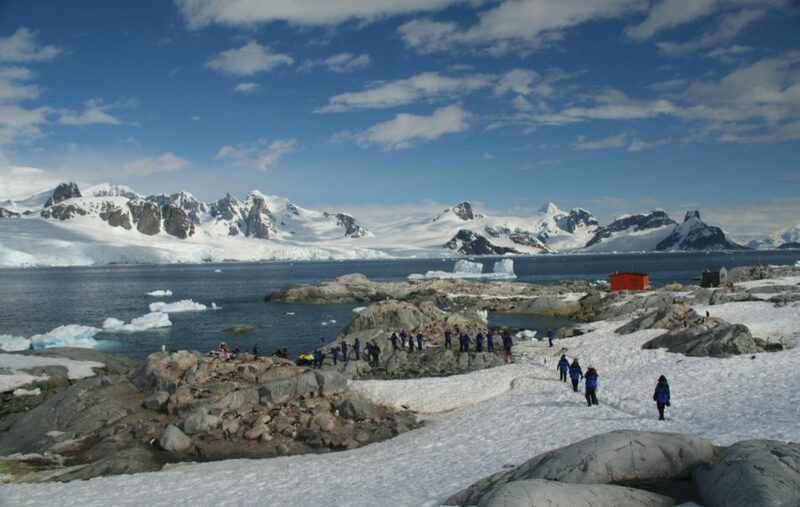 A popular destination when it’s possible to get there, is Goudier Island, where Historic British Base A, better known as Port Lockroy, is operated by the United Kingdom and managed by the UK Antarctic Heritage Trust as a living museum. Most visitors will be looking firmly towards the Antarctic continent. They might not realise that there are also many small, sub-Antarctic islands which are destinations in themselves, with historic sites, large amounts of plant life (much of which may only be found on these islands) and concentrated numbers of wildlife. Adding a visit to South Georgia, King George Island or the Falkland Islands as part of your Antarctica adventure will give you an even wider perspective on this amazing part of the world. When you land, you’ll most likely notice that there are few if any other cruise ships lingering in the area. IAATO has a guideline known as “Wilderness Etiquette” which states that only one ship can visit a landing site at a time, with further regulations on the number of visits each site can have per day. This not only helps protect the continent and the islands, but also ensures that the passengers on each ship can enjoy a site without overcrowding. Most operators also offer a variety of active excursions, such as sea kayaking, hiking, camping, snowshoeing, skiing, scuba diving and, for the brave, taking a polar plunge. All such activities have IAATO guidelines to promote safety and environmental responsibility and are intended to have no more than a minor or temporary impact on the environment. For nearly 60 years, official guidelines have controlled exactly what individuals and countries can do in Antarctica, in order to protect and conserve that remarkable place. 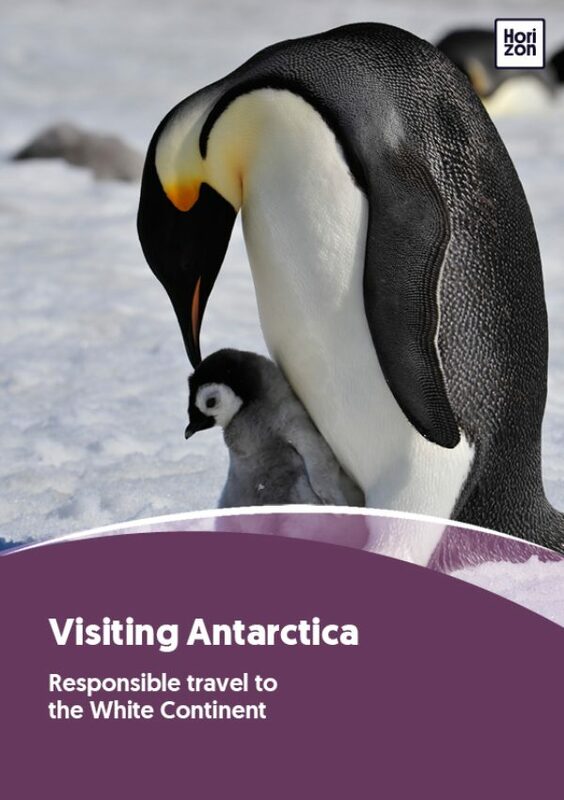 The guidelines, part of the Antarctic Treaty, provide general advice for travelling to any part of the continent. The aim obviously, is to ensure that visitors do not harm the environment. There are also guidelines specifically for some parts of the continent that you might visit, but your guide will explain those to you before you get on shore. Minimize your impact on Antarctica by familiarizing yourself with, and abiding by, all the guidelines. And pay close attention to your guides and follow their instructions. It should go without saying, but the old mantra of “take only pictures and leave only footprints” is doubly important in Antarctica. The vegetation that you’ll encounter, including mosses and lichens, is fragile and very slow growing. Do not damage vegetation by walking on moss beds or lichen-covered rocks. You’ll be doing most of your travel on foot, so be sure to stay on established tracks whenever possible. If there isn’t a track, take the most direct route and avoid vegetation, fragile terrain, scree slopes and wildlife. Treat all wildlife with respect. Move slowly and quietly so as not to disturb them and always give them the right of way. Be sure not to block their access to the sea. Think about it this way: You’re visiting their home and just as you would do in any new situation, follow their lead. Don’t get too close - keep at least five meters away - and watch out for their reaction to your presence. Perhaps one of the most harmful things to the Antarctic environment is the introduction of non-native species. To make sure you don’t bring in any plant or animal life or even potentially a disease, carefully clean your boots and all your equipment, including clothes, bags, tripods, tents and walking sticks, before bringing them to Antarctica. Pay particular attention to boot treads, velcro fastenings and pockets which could contain soil or seeds. Your guides may vacuum out pockets or cuffs in your pants before you disembark. The transfer of species and disease between locations in Antarctica is also a concern, so be sure that all clothing and equipment is cleaned before moving between sites. Your ship will have cleaning stations for your boots before you leave, and for your return. There are many historic sites on Antarctica and they should be respected. Do not interfere with, deface or vandalize any historic site, monument, artifact, or other building or emergency refuge. You might spot something of historic value that the authorities are not even aware of. Do not disturb it. Instead, tell your expedition leader or the national authorities. Before entering any historic structure, clean your boots of snow and grit and remove snow and water from clothes as these can cause damage, and watch your step. There may be artifacts that are obscured by snow when you’re exploring historic sites. Most of these regulations and guidelines should be fairly obvious. Your expedition leaders will ensure that you are familiar with them and that you how to behave before you disembark. However, it can all be boiled down to this: Antarctica is relatively pristine. It is the largest wilderness area on earth and we’d all like to keep it as nice as we found it. Remember the golden rule: Leave no trace of your visit. There are places and experiences it’s near impossible to fully prepare yourself for, no matter how hard you try. Antarctica is one of those places. Seeing it is one of those experiences. It’s not until you’re on a ship’s deck, gazing at a cathedral-sized iceberg standing sentry in the vast ocean, or you set your heavy rubber boots on to the rocky, hoarfrost-covered land of the southernmost continent, that you realize how little you really know. For me, Antarctica was several things before I actually came face to face with her. She was a checkmark on my to-do list, the seventh continent to visit. With her inhospitable terrain, she was an adventure to survive. She was also a mirror, a physical interpretation of a heart that had turned icy after news I received before I boarded my ship in Ushuaia. I think it was when I saw that first glacier, majestic and almost impossibly large, being lapped by waves as we passed it with terns and petrels wheeling overhead, that I realized that I was truly on a voyage to a place that most people will never see. I was following in the footsteps (although in infinitely greater comfort) of navigators and explorers, fortune-seekers and risk-takers. 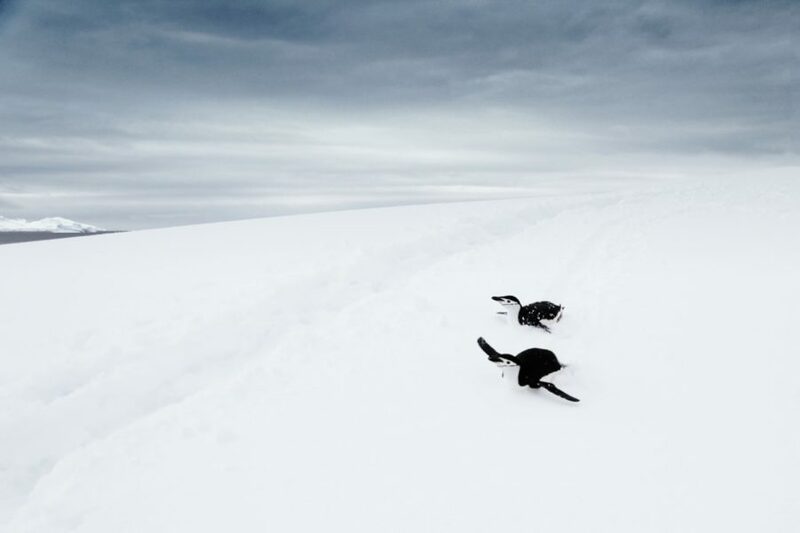 But the sight of the first chinstrap penguin broke the metaphorical ice. We were here: We were actually standing on Antarctica. After a brief tour on shore (the ice was advancing; we needed to get back to the ship), our first excursion came to a close. But if there was any doubt as to the magic of that place, the visit by the humpback whale that glided through the steely waters a few meters away from our Zodiac dispelled it. There are many elements of Antarctica that are compelling: the vast, pristine swathes of white snow that are almost blinding; the raucous cacophony of a penguin colony gathered by the shore; the icebergs that jut from the waves like ancient ruins. But it’s the ice that’s the last word in Antarctica. We had two different landings abandoned because sea ice crowded the landing spots; our overnight camping excursion was scuttled because although we could land, there was no guarantee that we would be able to get back to the ship in the morning. I, for one, was willing to play it safe on that one. Flexibility is perhaps the best thing you can pack for this particular adventure. Though some landings were scrapped, other opportunities presented themselves. We had a stellar, bluebird day near Cuverville Island with a colony of gentoo penguins; a hike up the mountain at Orne Harbor revealed tenacious chinstrap penguins and views that seemed to encompass more than 360 degrees. The pod of some 65 orcas that escorted us out of the harbor wasn’t too shabby, either. Then there was the after-dinner excursion at Damoy Point. We boarded the Zodiacs at about 10 pm and glided into the expanding twilight. The late hour didn’t bother the penguins. The curious ones waddled up to see what we were doing while their friends took turns slipping and sliding off the ice before jumping back up and repeating the process. It was a surreal experience, wandering over the snow while others were snug in their bed. On the last night before we started back over the Drake Passage, I was sitting in the bar area, drinking Polish vodka with Miko, the marine biologist on board, to celebrate his birthday. I asked him if it ever got old, coming to Antarctica. He looked at me as if I was crazy to even contemplate such a thing. It really was a silly question. I was already ensnared by Antarctica and plotting my return. I think I was hoping that perhaps it wasn’t as special as I thought it was, to save myself. But she remains in the back of my mind, tempting me to make the journey to the ice just one more time.